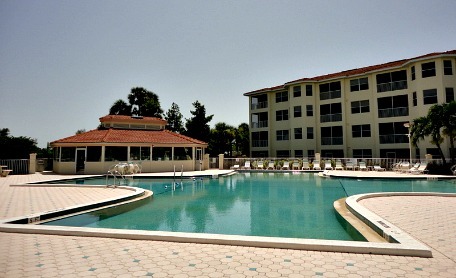 Banyan Trace is an attractive and affordable Cape Coral gated community of condos that has great amenities! Located in the SE section of the Cape, the community was built in 2004 and is situated near downtown restaurants and shops. 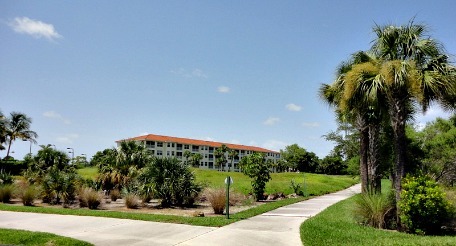 Seven buildings with a total of 232 condo units circle around a neighborhood that fronts the golf courses of the now defunct Cape Coral Golf Club. 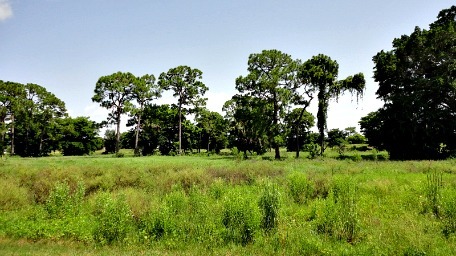 There are plans in the works for the city to purchase the golf course. If and when that happens, BanyanTrace will become an even more desirable place to live and a good investment. Although I haven't been in any of the units, I've heard from my realtor George, who knows someone who lives there, that it's pretty nice and they are very happy with the community. Buildings are 4 stories high with access by elevators or outside stairs. Each unit has a screened-in lanai. Scattered throughout the community are the kind of amenities you look for when you are looking for the Florida lifestyle. 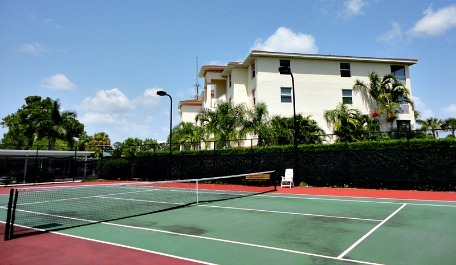 At one end, there's a large pool and clubhouse area with fitness room, nearby are the tennis courts. Then at the other end is the hot tub, bocce ball courts, barbeque grills, and a picnic or party gazebo with seating. All areas are connected by walking paths with lovely landscaping, and views of the golf course provide a sense of privacy and the peaceful feeling of being in a sanctuary. 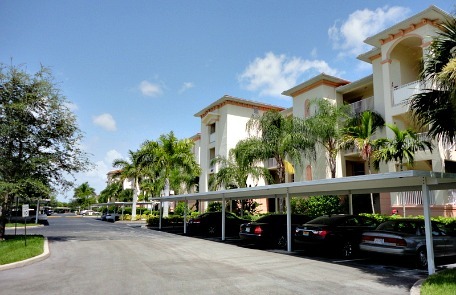 If you are interested in Cape Coral condos as part of your real estate search, check out this attractive area gated community at 4005 Palm Tree Blvd.